I will go against the grain here and labor a bit in order to make a new post. I am going to stop talking about how I get a bit behind on posting because I am sure that’s very boring. Summer is officially over. I do not know how that will change my pallet. Hopefully the crisp Autumn, that won’t come to DC until late September, will bring exciting flavors. 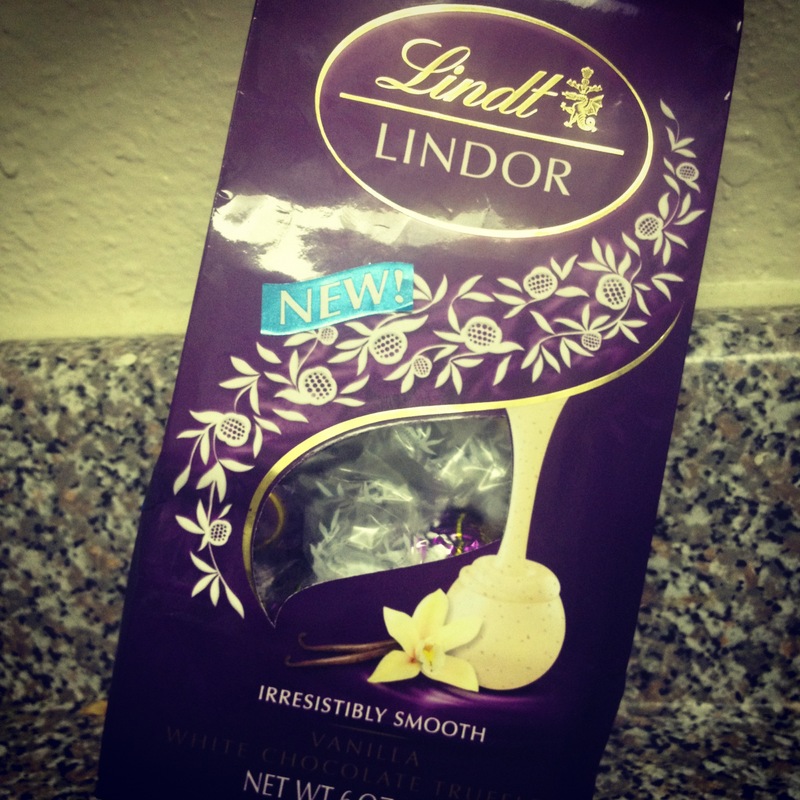 Today’s post is certainly something different, venturing into a type of sweet I usually don’t like: white chocolate. It’s not that white chocolate isn’t lovely; it’s perfectly fine. I consider it a lower chocolate. Although it doesn’t taste like it, white chocolate reminds me of hardened lard. It’s a solid white mass that is very fatty and usually pretty bland. That’s why I decided to take it on. What would this blog be if I didn’t step out of my comfort zone? We continue to go through the bag of wine I got a few weeks ago. I have to say I was disappointed this time around. Unlike the stunning chardonnay I sampled last, this wine didn’t knock my socks off. It was fine but but I can’t say I will buy it again. As pairing goes, it was good which is saying a lot considering I paired two things I don’t exactly like. Enjoy the post and please, relax today. I know I slept in after a very busy week and tomorrow I start my online statistics class. Tonight I plan to work on another pairing and celebrate the end of a truly great summer. Thanks to you all for helping make it great. The reality is I bought these while on the phone so my mind was elsewhere. I also love vanilla and Lindt is relatively safe. I know it’s not too fancy, but it’s white chocolate, the trashiest of chocolates (sorry I’m not sorry if I offended you). I actually did not mean to have the packaging of the wine and chocolate match, but it turned out quite lovely right? White chocolate has this viscosity to it and is simple flavor wise. Pairing the Lindt with a generic wine felt safe but still had the potential to pleasantly surprise me. Since white chocolate is relatively bland, the red could build on it’s flavors and provide the extra boost white chocolate usually lacks. The chocolates are little scoops of vanilla ice cream. Each ball of chocolate is sprinkled with black vanilla flecks and the vanilla flavor is intense and rich. I froze them, because that is just how I prefer my chocolate. It also keeps them from overwhelming your mouth. When each chocolate unfrozen it sort of makes my mouth sweaty. They sort of make my lactose-intolerant mouth lurch at first taste, but that is ok. I like that just one is enough to satisfy your sweet tooth. The wine has a leathery smell with notes of blackberry. It is smooth with an acidic finish, but lacks any outstanding flavors beyond the blackberry. I think this is a great table wine that would go with many dishes. It won’t overwhelm your food but certainly will not start any conversations. The small truffles creates additional smoothness for the wine and gives it a softer finish. The sweet vanilla adds to the subtle blackberry notes and elongates the fruit flavors. It’s an indulgent treat and I could not eat too many. The pairing is good and I imagine it would go well with any generic red (sorry for the word generic, it’s not right). I imagine a nice rioja would also be pleasant. Have a happy holiday and remember, it’s California wine month! Posted in international red and tagged chocolate, Lindt, pairing, Red Wine, Vanilla, White chocolate, Wine. Bookmark the permalink.